For most Indians, Bhutan seems like the go to “international” travel destination because of its friendly no visa policy for Indians, Bangladeshis and Maldivians. And rightfully so, considering going to Bhutan is as easy as waking up one day and deciding to walk across the border! With the beautifully detailed architecture adorning every nook and cranny in the country, and the beautiful Himalayan vistas surrounding you at all times, Bhutan is indeed the perfect travel destination. And it comes as no surprise then, that Thimphu, the capital of the Land of Thunder Dragon is usually the first destination for most travellers since this a perfect place to get accustomed to the Bhutanese way of living. But this is also the very place where further immigration formalities need to be sorted out. 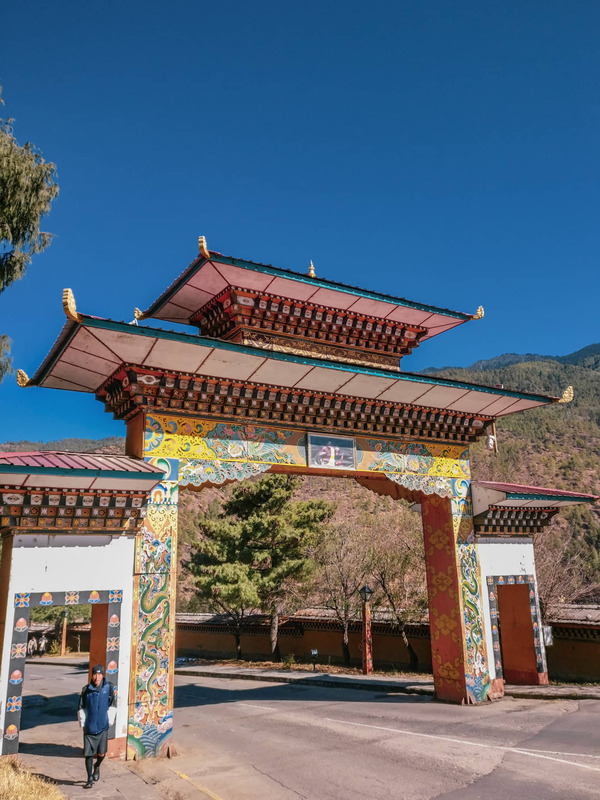 Located about 150 kilometers away from Phuentshsoling, Thimphu can be easily reached via a direct bus from Phuentsholing to Thimphu, costing no more than 200 INR per person. The last bus to Thimphu leaves at 4:30 pm and the tickets usually sell out really fast, so make sure you book your bus from the bus station at least 2-4 hours in advance. 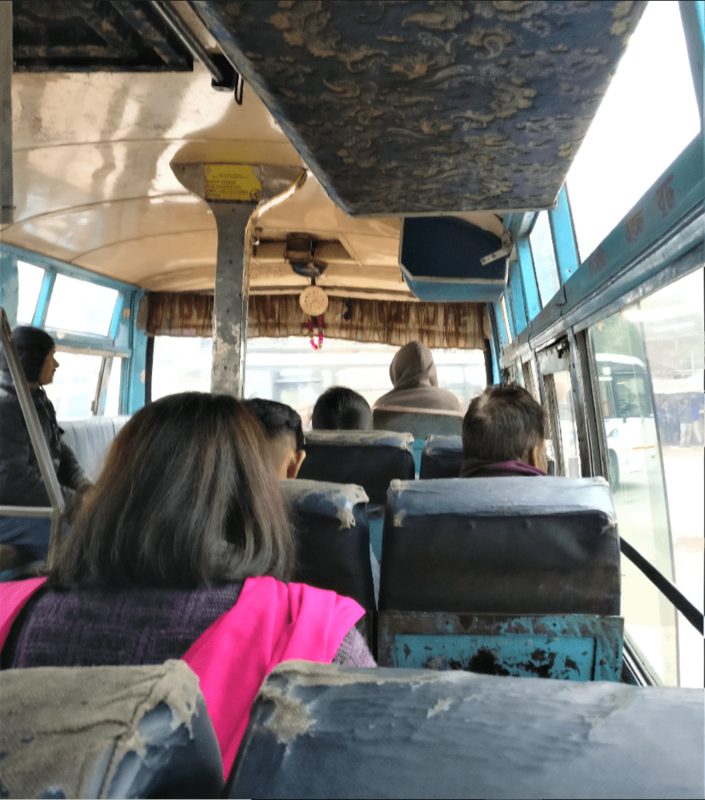 Pro Tip: While asking for a bus ticket, make sure you’re not surrounded by any taxi drivers around you as the ticket counter will straight up refuse to sell you a ticket because of the monopoly of taxi drivers in Phuentsholing. 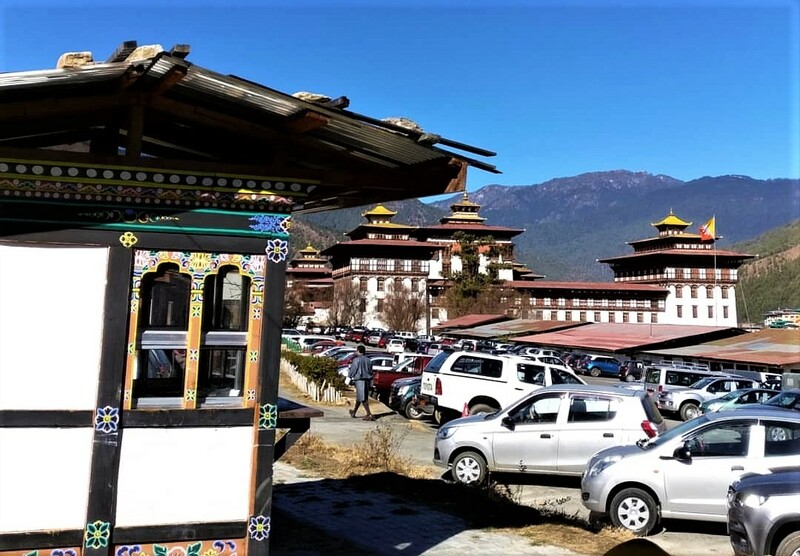 There are also multiple shared taxis from Phuentsholing to Thimphu that will cost about 500 INR per person if your bargaining skills are good. There is also the option of taking a private taxi to Thimphu, but this usually gets heavier on the pocket. To reach Phuentsholing, you can take the early morning 7:30 bus from Siliguri to Jaigaon from the P C Mittal Bus Stand in Siliguri. From Jaigaon bus stand, take a rickshaw for 50 bucks till the Bhutan gate and then walk into Phuentsholing! Since Thimphu is the metropolitan city of Bhutan, homestays are rather hard to find, and only very few homestays exist here. The city is known for its streets lined with hotels one after the other, but you will very rarely find a place to stay under 1,200 INR. I was initially supposed to stay with a Couchsurfing host but he had to cancel due to circumstances beyond his control so he booked a stay for me at Hotel 89, which was a decent place to stay at. 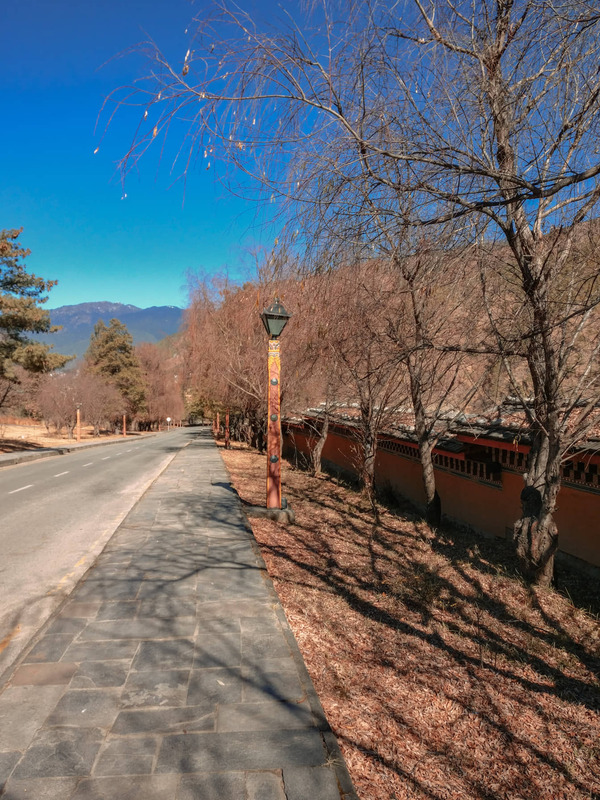 While a quick Google search will land you with the usual things to do in Thimphu, I tried to find other places worth visiting that might seldom find their way to Google search results. Located at an elevation of about 2,685 meters, Sangaygang (also known as the BBS Tower) is a telecommunications tower set up over a hilltop by the Bhutan Broadcasting Service- a radio and television station in Bhutan. From the tower, you can hike up to find yourself in a jungle of fluttering prayer flags and blue pine trees with wild flowers growing at your feet. Once at the top, you can find a spectacular view of the entire Thimphu valley below you. The view during sunset time is especially magnificent, with the sky changing colours every passing minute and the valley below slowly starting to light up as it gets darker. You can also hike further up for about an hour to reach the Wangditse Goemba, a monastery housing the statues of various Buddhist guardian deities. On your way back, you can also choose to visit the Motithang Takin Preserve, a sanctuary known for the Takin, Bhutan’s national animal. Pro Tip: The Motithang Tiger Preserve closes at 4 pm so make sure you plan your visit accordingly. Commonly known as Buddha Point, this is one of the largest Buddha statues in the world, standing at a height of 54 meters. Overlooking the south side of the valley, you can see this statue from a distance from almost anywhere in Thimphu city. 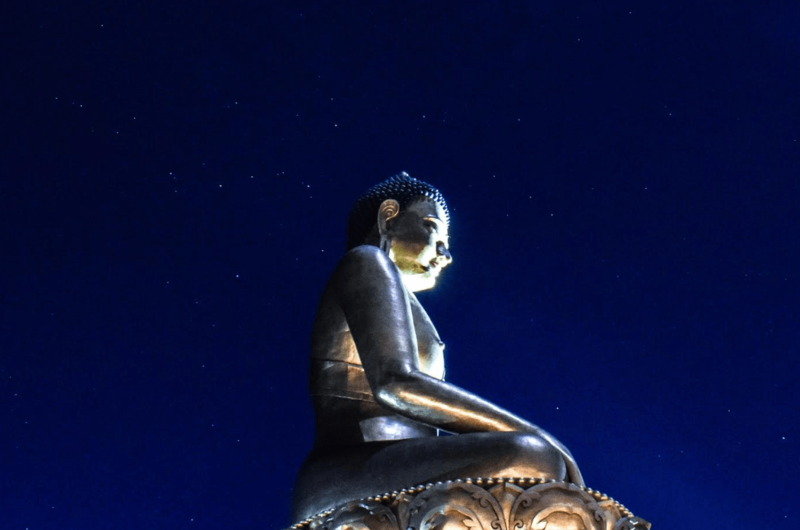 But the real charm of the statue is well past sunset, when all the crowds slowly disappear and all that is left is you, the Buddha, and an endless amount of stars above your head. It is truly a sight to behold! The Kuensel Phodrang Nature Park is commonly used by mountain bikers to get their share of adrenaline every now and then. It’s a beautiful place set right in nature’s lap- as the name suggests- and is located on the hill behind the massive bronze statue of Buddha Dordenma. The trail going through the Park leads you to another astounding bird’s eye view of the entire Thimphu Valley, especially beautiful during sunset. The Park also consists of the ruins of the ancient palace of Sherab Wangchuk, a king of Bhutan. If you’re looking for a quaint spot to bask in the glory of the warmth of the late afternoon sun post lunch, this is the place to be! Located along the Wang Chhu River, with a glitzing 45 feet tall Buddha statue standing at its center, this makes for the perfect place to go on a lazy stroll. The Centenary Farmers Market is a weekend market selling fresh fruits and vegetables that is located just a two minutes’ walk from the park and is a good spot to explore the local culture of Thimphu city. The Chorten is one of the places that we had no intention of visiting, but merely just chanced upon while strolling through the streets of. But once we found ourselves in its vicinity, we decided to go pay it a visit, only to find out that the tourist entry closes at 5 pm and we were about 10 minutes late. We did sneak in a quick view though, before we were ushered to leave by the security guards! A beautiful structure, with prayers flags and prayer wheels everywhere around it, I’m sure it must be a sight to see during sunrise. Right next to it is the Indian Military Training Team complex, with a shop serving piping hot samosas and jalebis. If you ever find yourself at the Chorten, make sure you gorge on these Indian delicacies! The Clock Tower Square is the cultural hub of Thimphu. 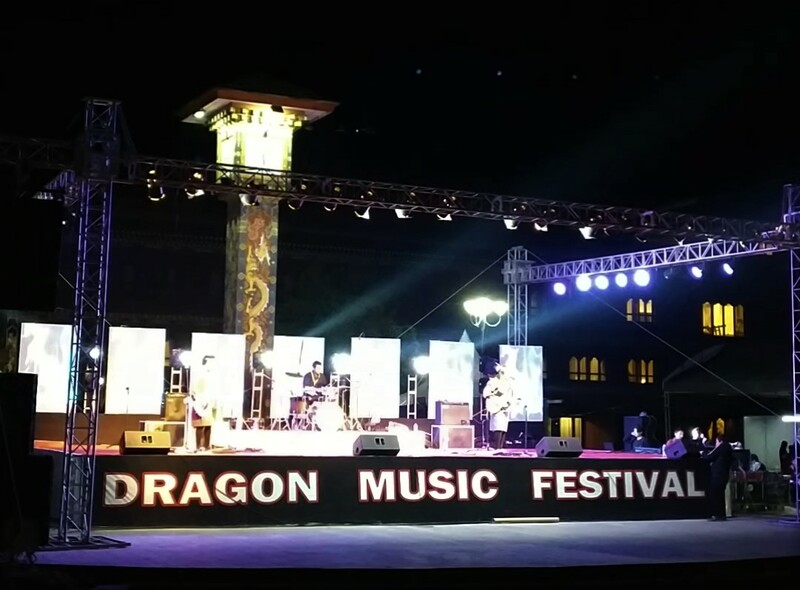 Our stay in the city coincidentally coincided with the Druk Music Festival, a festival organised to help local music bands and groups gain visibility. We saw some great performances in both Dzonghka and English, and were blown away by the energy of the crowds! The Clock Tower Square is also a great place to explore cafes and try out various Bhutanese dishes and beers while enjoying quality live music performances! The Tashichho Dzong is a fortress which also serves as the seat of the King of Bhutan. The complex of the Dzong also has the offices of the government and its ministries. Located right by the banks of Wang Chhu, the Dzong is an impressive figure with well kept massive lawns surrounding it. There is also a beautiful golf course right next to the Dzong. But as it happened, after walking the 5 kilometers from our hotel to the Dzong, we found out that it only opens after 4:30 pm during weekdays! As a consolation, the walk to the Dzong, is actually quite beautiful with wide curving roads lined with trees on both sides, along with an occasional patch of old snow! The entry fee is 300 Nu, with a 50% discount on a valid school/ college ID card. Pro Tip: Most dzongs and other tourist places in Bhutan have a special students’ discount on the entry ticket. So make sure to carry your institution’s ID card while travelling. A high mountain pass located at an elevation of 3,100 meters, Dochu La lies between the Thimphu and Punakha districts. Although our bus to Punakha would have passed through Dochu La, we wanted to take our time going around it, so we decided to rent a scooter in Thimphu and go visit this pass located 25 kilometers from the city. The road was mostly okay, but the pass was laden with snow everywhere. Dochu La is mostly known for its 108 memorial chortens, but also provides an uninterrupted panoramic view of the upper Himalayan Jigme Singye Wangchuck Range, including the highest peak of Bhutan known as the Ganakar Punsum standing 7546 meters tall. If you ever find yourself visiting Bhutan, try to align your trip along the Dochula Druk Wangyel Tsechu Festival held annually on 13 December at the Dochu La Pass. Pro Tip: While visiting Dochu La from Thimphu, you will need a special permit for Punakha, so make sure you get it from the city in due time. 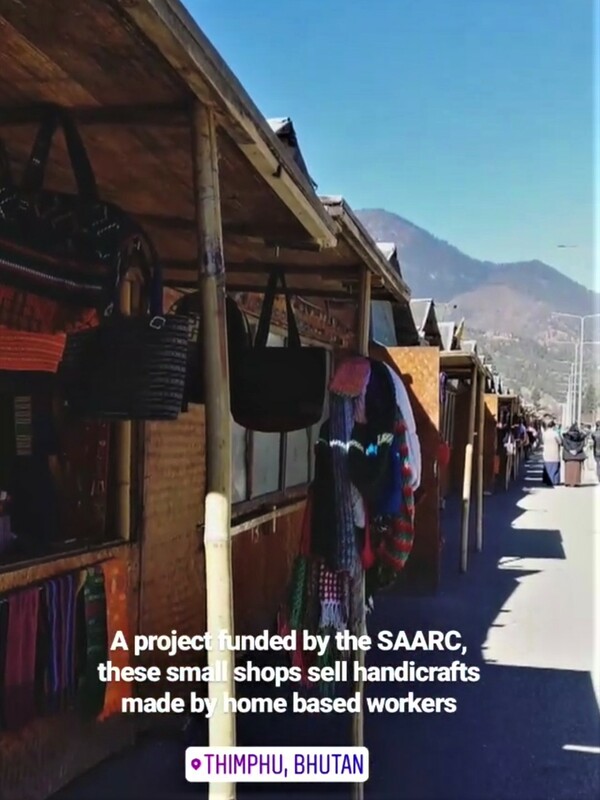 Right in front of the SAARC Development Fund on Norzin Lam in Central Thimphu are several small wooden huts lined one after the other, selling all sorts of handicrafts. From bags to magnets to scarves and key chains, these shops sell handicrafts made by home based workers. This is a project funded by the South Asian Association for Regional Cooperation, and is a great way to buy souvenirs for back home- without spending too much on the overpriced big handicraft stores. By buying from these shops, you also contribute to the home based workers economy. Win win! Getting around inside the Thimphu city, or any other city for that matter, can be a serious blow to your pocket. While private taxis are usually expensive and shared taxis not very common, a scooter for rent in Thimphu seemed like the best bet for me to travel inside the city. Google search landed me a number of bike rentals which were way over my budget, but not a single scooter rental in sight. Thankfully, by a happy accident, I came across the contact of Mr. Jigme who rents out scooters to tourists. You can contact him at +975 17114243. I usually love trying out fancy cafes and restaurants whenever I am travelling, and spending hours sipping on one coffee and just looking out the window. But I decided to try out the small local eateries in Thimphu instead of the big cafes, to indulge in a more local experience and boy, was I surprised! Everywhere you go, there are these hidden “restaurants” selling momos or noodles or fried rice or ema datsi and each one is as good as the previous one! I just couldn’t decide which one was my favourite, so here’s a list of all those food joints in Thimphu that we tried. Laphing is a street food originating from Tibet, and commonly found in Nepal and several Himalayan states of India. By happy accident, we chanced upon this tiny little shop named Laphing House on Norzin Lam in Thimphu, and immediately went in for some street style dinner! We have had laphing in Majnu ka Tila in Delhi before and are huge fans! Laphing is a cold mung bean noodle which is first lathered with some spicy red chutney and then filled with soya chunks and folded into small rolls. It is available in dry and wet variants, as well as a wheat variant. This is one of the cheapest and decent food options we chanced upon when we had a Bhutanese food burn out! After having ema datsi and red rice everywhere, we found this place serving pork/ chicken fried rice and some kickass ginger lemon honey tea. This saviour of a place is located right opposite Clock Tower Square and the best part about it is that it serves both- authentic Bhutanese food and fast food like noodles and momos, while being easy on the pockets. We had a nice meal of fried rice and chili chicken while enjoying the Druk Music Festival at Clock Tower Square from inside the restaurant. This is one of the most popular cafes in Thimphu and is located on Norzin Lam near Clock Tower Square. While the ambiance is really cozy with a friendly cat walking over tables and playing around the cafe, I found it to be a little overpriced and overrated. We tried the Bhutanese styled spaghetti and were quite disappointed with it, but I had the best ginger lemon honey in perhaps all of Bhutan here! This is also a great place for digital nomads looking for a chill place to eat and work simultaneously with a stable WiFi connection. Momos Corner on Gongdzin Lam, right behind Le Meridien was our go to fast food place in Thimphu whenever we were either running short on time, or were too late to find proper meals elsewhere. They serve amazing beef momos and their momos chutney is to absolutely die for! Do you know of any other small obscure shops in Thimphu selling noms to die for? Let me know in the comments below!